Recently, I was stabbed in the side by someone stating that they never re-read a book (Gasp!). After I adjusted my mental review if their status as a friend, I listened to their next words: There’s too many books I want to read to spend my reading time on re-reading. Okay, they redeemed themselves. However, I am seriously dying to re-read some books in 2016. I’ve undergone some major life changes and the titles that come to mind are ones that are life changing to me. They provoke deep thoughts on Life. They have provided answers and guidance in my life. They are books on my shelf because they are worth my hard-earned dollars. I averaged about 101 books a year, but I’ve read as many as 168 in a single year. This year’s goal (stay with me, I have a point here) was to read about a book a week. I’m well beyond that. 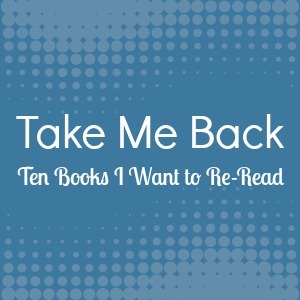 What if next year’s goal is to re-read? And read as many books as I can? Could I make it a 200 book year? It’s no secret to those that know me in real life know I spend a significant amount of time with a dreamy far off look and my nose stuck in a book. It’s a lesser known secret that I re-read at 1.5 to 2.0 times the speed of a first read. Exceeding 200 books in a single year seems totally achievable in these circumstances. I can think of 30 books I what to re-read, right now (15 of which are the Dresden files in prep for book #16’s release next year, assuming Butcher stays on track for the current release date.) Finding books to read becomes a non-issue. I am going to have to give serious consideration to this. But now? I’m off to the November reading challenge and my non-fiction book. Cheers!